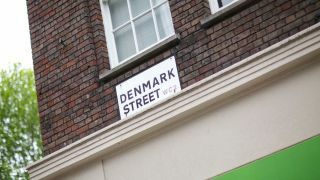 A petition has been launched to save Denmark Street - also known as Tin Pan Alley - from future property development plans. The Soho street is known to musicians as the site of countless music shops and the infamous 12 Bar Club, not to mention the area where the likes of Jimi Hendrix and the Rolling Stones rehearsed and recorded, but unless the petition receives 25,000 supporters by 16 January 2015, the street runs the risk of significant alteration. Pete Townshend has issued an open letter to The Times on the subject, and other musicians are expected to come out in support of preserving the street. The petition is available to sign here: Don't Bin Tin Pan Alley!